Scallops are active swimmers, propelling themselves along the ocean floor by clamping their shells together using the muscle called the eye — the part that is eaten. Because scallops do not close their shells completely, they spoil quickly and are usually shucked before reaching the market. The muscle is iced immediately, and the rest discarded. Sometimes the roe is left intact, which is a delicacy yet to be appreciated here in the States. True bay scallops (known as Cape Cod) are rare and very expensive. 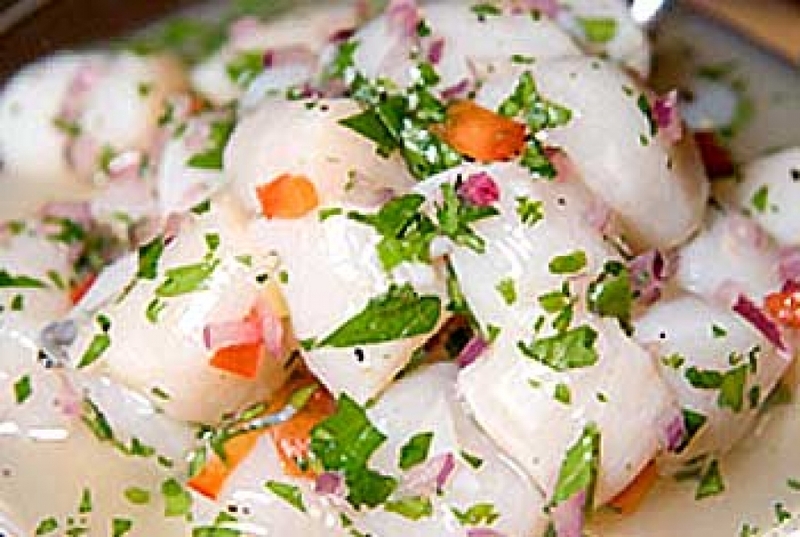 Most "bay" scallops are Calico scallops, harvested from Mexico and Florida. The most important difference lies in the processing. 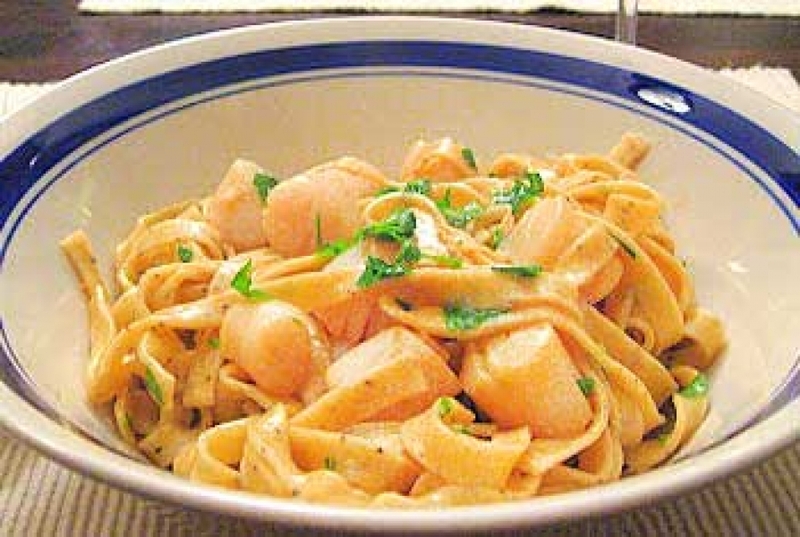 "Dry" scallops are preferable, as unlike "wet" processed scallops, they have no water or preservatives added. Set a large pot of salted water to boil.In a small sauce pan ,warm the olive oil,butter and garlic over low heat until the garlic turns pale tan, gently shaking the pan occasionally. Add the scallops, salt , and pepper, and cook just until the surface of the scallop turns opaque. Add half the parsley and the bread crumbs and turn off the heat.Cook the pasta according to the package instructions. When it is just about done, reheat the scallops. Drain the pasta , toss with sauce,and and top with remaining parsley. Add a sprinkle of olive oil if the dish seems dry. Serves 3 to 4. Cut bay scallops in half. Combine the scallops with the remaining ingredients (except lettuce),cover and refrigerate, stirring now and then. Scallops are “cooked “ when they are white throughout , about 2 hours. Serve seviche on a bed of lettuce, which may be used to roll up portions of the fish, fajita style. Makes 6 to 8 appetizer portions.